This is Jenny McClung from Valley View. I received an interesting phone call a few weeks ago from Peter Chasse. I will let the following story that he wrote and allowed us to share explain to you how he found the Red Steer barn at Valley View after 16 years. This is an amazing story…..just in time for Valentine’s Day. About 16 years ago, we pulled off the road somewhere on US-60, just outside of Lewisburg, W.V. Snow had just started to fall. In the trunk of the car was a bible. Inside it was a solitaire engagement ring, tied to a bookmark, nestled in between the pages of 1 Corinthians 13. Catherine and I were on our way to join my extended family in Milton to celebrate the life of my grandfather, who served as a pastor in St. Albans for most of his life. While his passing, just days before, should seemingly have interrupted my plans for that special week, I knew in my heart he wouldn’t have wanted that. He would have insisted that his joyous journey home to the Lord should never get in the way of another joyful moment planned weeks before. So, there I was, praying at every turn along that scenic route for “just the right spot” to present itself. Though I’d never driven that way before, it was obvious when it appeared around the next bend. There it was. A place to pull over, a snow dusted field, and a red barn in the background. Hallmark can only attempt scenes like these. This would be the place that I would ask for my wife’s hand in marriage. It would mark the spot where a beautiful new chapter for both of us began. She said yes. But before we continued our journey we snapped a few photos of the scene to remember it…knowing we’d likely never pass that way again. A weekend or so ago, as Catherine and our three children sat in the living room, just passing time on Sunday evening, we happened on a couple of episodes of Barnwood Builders. The show’s lead character, Mark Bowe, happens to hail from a town along US-60 in West Virginia. And as they introduced it, the name sounded awfully familiar. I turned to watch the show’s intro montage. In a flash of all but a few seconds, I was sure I caught a glimpse of it… that barn that’s been sitting in a 4×6 picture frame on our nightstand all these years. A quick rewind and I was convinced…that had to be it. I grabbed a laptop and opened Google Maps. I traced the route I believed we had taken so many years ago and that’s when I spotted the proof. The picture of the barn that reminds us of that special day matched precisely with the “Street View” I was staring at on the computer screen. It was the spot where we had pulled off US-60 in late December 1999. Barnwood Builders just happens to be all about reclaiming old barn wood to create new spaces and new memories, preserving a link to our past. And it gave me a crazy idea – truly a long shot. What if? Just what if someone might be willing to help me find something from that barn, even a scrap of wood, that could forever connect our family to it, beyond the single photo we still have. I searched Google a bit more and found what I believed to be the Facebook page for the property that, in my best estimate, was home to the barn I know. When I found it, and browsed through some pictures, seeing all the weddings that have taken place in the sister barn down the hill, I figured this might not actually be the longest shot in the world! So, I reached out to the folks at Valley View Farm and I shared my story – as odd as it must have sounded – with Jenny. I knew about half way through telling it that she was a kindred spirit in this and something really special was about to happen. Sure enough, not much more than a week later, I’m holding a solid, well worn, deeply weathered and absolutely stunning piece of their family and ours shared story. Red on one side, with years of farm life embedded in the wood grain on the other, and rough on every edge, I couldn’t be more thankful. It will become a fixture in our home, just as it has been on that hill in Lewisburg for so many years. They’re really quite remarkable. But for those that spend every day working in one, they certainly can’t hide their truths. They are worn. Something is always in need of a bit of fixin’. If the wind is blowing the wrong way and a neglected door left open, they can get real cold, real fast. In the heat of a summer night’s struggle they can even put off an awful smell. Because barns are real places, postcards and picture frames will never fully capture the grit and dust of constant motion. They’ll miss loft beams bowed under the stress of providing a home. They’ll paint over the tear-stained floor boards from those years when nature wreaks her fury through a season of disappointment. And they’ll have missed that these realities served to settle her foundation; the firm, embedded stone upon which stands all that the rest of us can see and find so comforting and peaceful. 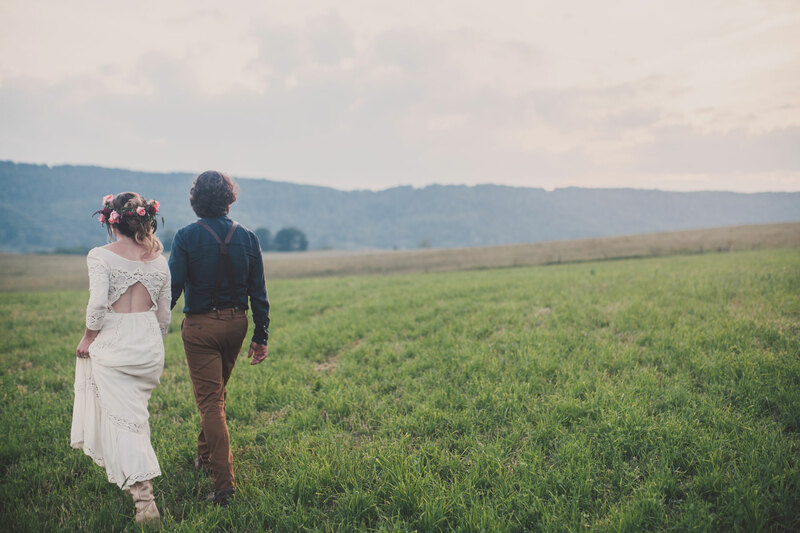 From a distance of course, barns rise above the fields, romantic and even majestic. They paint our landscapes with a hopeful story of steady faithfulness, standing still in the ever-changing reality of life, day in and day out. They remind us that, when cared for, they are indeed a refuge, never too far off and always safe. Our hearts celebrate the memories held within their walls, too numerous and too precious to ever exhaust. Joy overflows from a well loved barn. And we know somehow, that as each board was nailed into place so many years ago, her creator smiled, anticipating it all. The truth is, a genuine and well worn barn is a lot like a genuine and well worn marriage. From a distance each promises a certain kind of idyllic happiness. But it’s not until you find yourself working in one – day after challenging day — that you realize their true beauty. Many years in, you’ll look around and finally begin to celebrate every imperfection, weathered scar, and settled corner as a reflection of your life’s commitment to keeping it all standing. And in those moments, together, you’ll begin to find real rest in that place – thankful that its Creator and ultimate sustainer is indeed a master barn builder. Thanks Micky! It was a fun adventure to help Peter and his wife. It sure makes my heart smile. This is a wonderful story, beautifully told. Thanks for sharing it. It makes me wonder how many stories there are from that pull off overlooking Valley View Farm. Many years ago some friend shared pictures that they took on a trip from Huntington to Richmond and one of the pictures was taken at that same location. Neither had any connection to the farm but they just stopped to take in the beauty and capture the moment together. We love to hear stories like this and like you explained. I am sure there are some good ones! Thanks for sharing. What a beautiful story. So well written. How wonderful you were able to bring a piece of your engagement day and incorporate it into your home! A wonderful read. Peter did an amazing job with this story! Thank you for your kind comment.